…and despite repeated requests in many places, they never do. 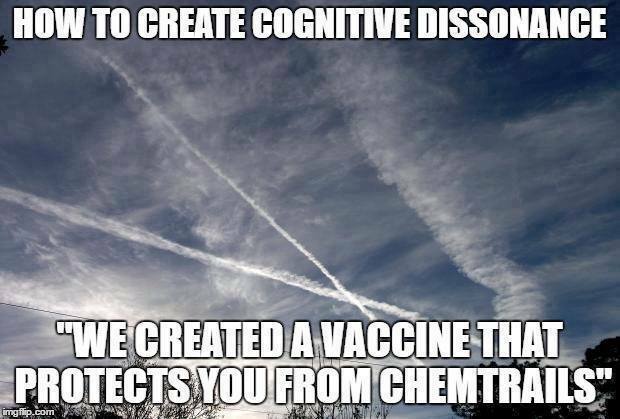 They do the maths in what would be needed to spray just the USA with the alleged chemicals that are claimed by the chemtards. Not to mention the infrastructure and personal to support such an enterprise….and that is just for the USA, what about all the other countries? I kinda think that this many flights and the infrastructure wold be noticeable wouldn’t it? Follow this thread on Facebook in which a chemtard can not accept the fact that he (and they) keep falling for all the photoshopped images that pretend to prove them right. Look how he reacts when the proof is so clear, that no one but him can see it. And they wonder why they open themselves to ridicule. 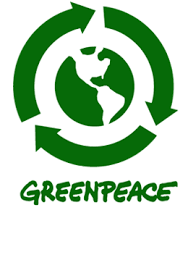 Greenpeace have not seen sufficient evidence to justify further investigation into whether this is a real problem. 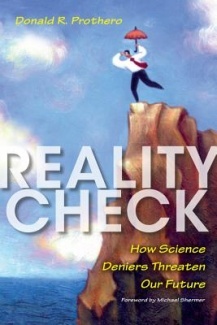 As far as we are concerned, chemtrails are an urban myth – a conspiracy theory with no conspiracy. 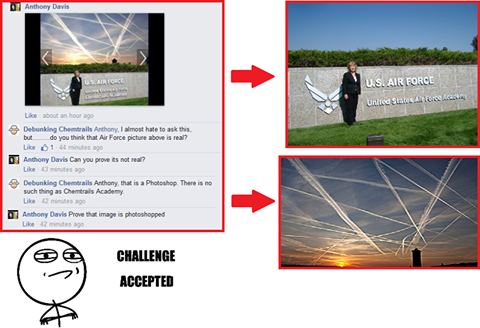 A Facebook group was set up (Plea to Erin Brockovich for Legal Action against Chemtrails) to try and get activist lawyer Erin Brockovich to take on the case of legal action for the chemtrails. Not sure who they actually thought they could actually take legal action against, but Erin Brockovich did not want a bar of it. She is a smart lady and would have quickly realized what a load of nonsense the chemtards were spouting and that she wanted nothing to do with them. She knows a lost cause when she sees one. …but the claims are faked. Pretty obvious to everyone except the chemtard conspiracy believers. 1. It was NOT testimony before the UN. It was at a conference held in the UN building(big difference). 2. She is not a ‘whistleblower’, as she is not an insider and is blowing the whistle on nothing. 3. There is not one shred of proof in that video for chemtrails. 4. She is speaking in future tense about the possibilities of weather modification. 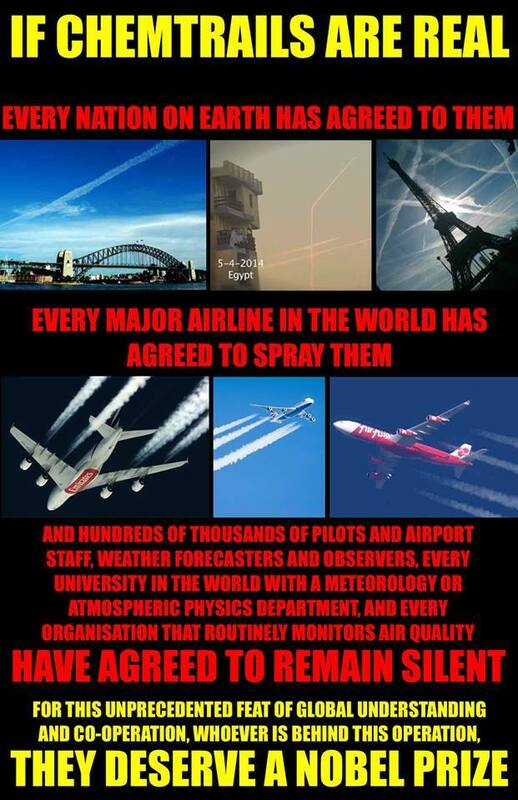 That does not mean they are doing it and does not mean that chemtrails are real. 5. On You Tube, the video is reloaded several times with the title “Chemtrails, Here is your PROOF 100% Real “MUST WATCH” … epic fail. No proof there. Next. Hey chemtards, explain that if you can. …and then they will see the harm that they are doing to our future. Whether we take the path of science and rationality or superstition and denial will determine whether we survive another century on this planet. How often do the chemtards like to claim that? Well look at all the photos here prior to 1990! Not to mention this photo (and many more) from World War 2. 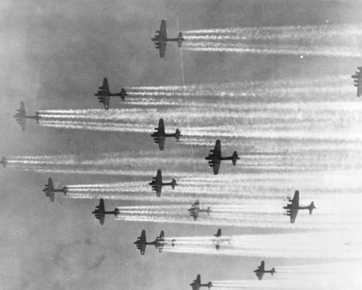 The contrails made the bombers sitting ducks for the enemy planes!